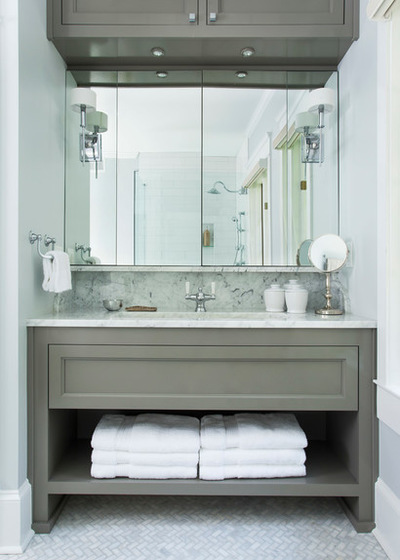 What is the Standard of a Bathroom Vanity Height? 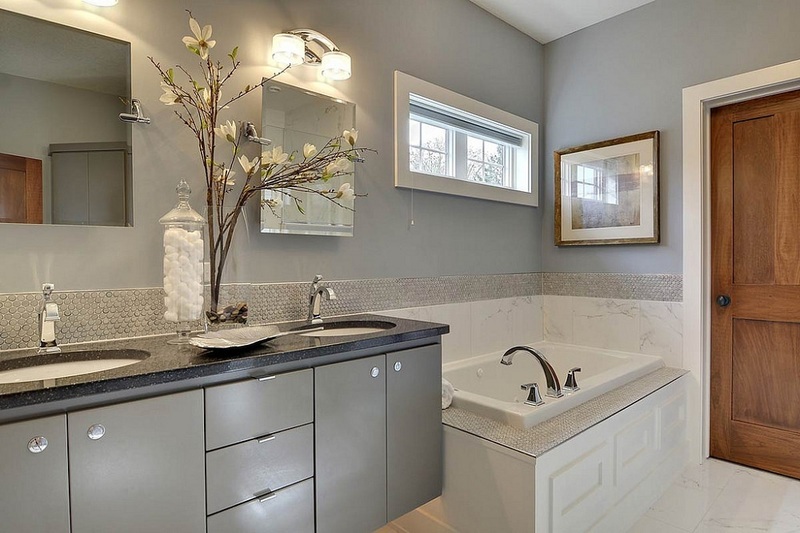 Home » Plans » What is the Standard of a Bathroom Vanity Height? If you were wondering which is the standard height of a regular bathroom vanity cabinet, that would be 32”, although the range can be anywhere from 30” to 36” or so. Nowadays, the modern units are taller, and they are named comfort height vanities. Another thing to note here is that vanities can end up coming with a multitude of height options. You need to think about the vessel sink height, comfort height, and then you also have the standard height. 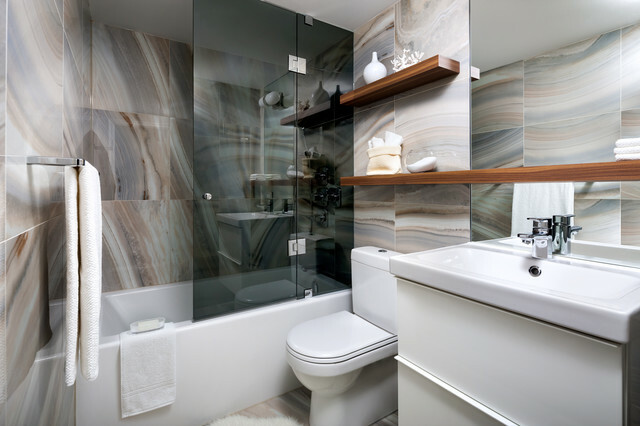 Most of the time you will see that there is no particular standard height, although you can try to determine that by creating an average of all bath vanity models out there. 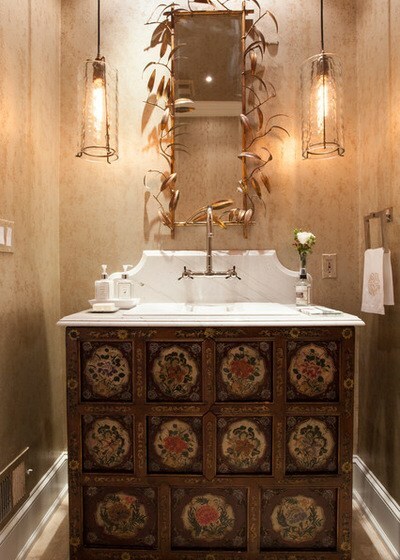 Bathroom vanity heights should be considered not just for aesthetics, but also for practicality. Again, take into account the height of the other components of your bathroom, but also factor in your height and the height of the other occupants of the house. 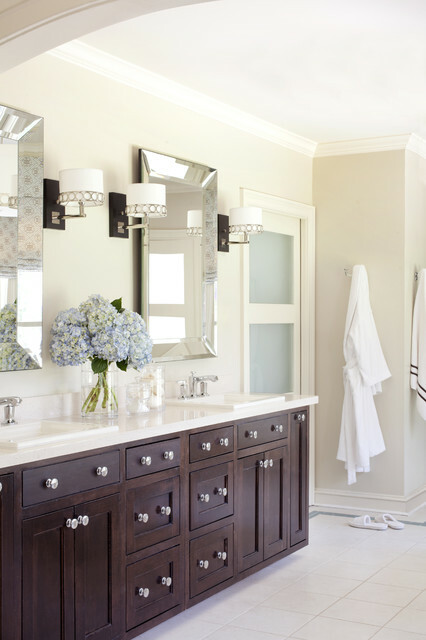 For families, this means having a standard vanity height for the adults, while a customized bathroom vanity height for children and/or teenagers is needed. The regular vanity height is 32”, although larger or smaller vanities can be added, especially if you have a child. In this case, standard vanities work great, because your child will not have to deal with any disadvantage. 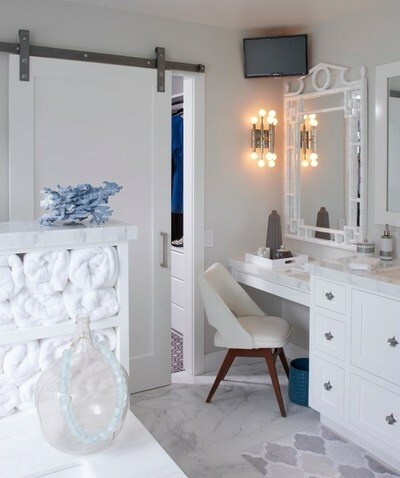 Having a standard vanity height for your children’s bathroom will make it easier for them to use it, although vanities in other bathrooms will need to be more appropriate for adults. Why were vanities low? It turns out that after the war, most of the new houses had a combination of bathrooms in the form of 3BR 2BA or 2BR 1 BA. As a result, children had to share their bathroom with parents, so the vanities had to be lower. And that’s how the vanity height became a standard 32” to begin with. Nowadays, you can have multiple options that will bring you a right amount of comfort and height depending on your needs. An important thing to note in this situation is that most of the new vanities are focused on following a trend named comfort height bathroom vanities. The idea is to have them higher when compared to standard models. The reason behind this is rather simple since it enables you to lower any pain you get from bending while you wash. Most of the time, you will find that a regular bathroom vanity will have to be a bit lower to add the extra vessel sink height. 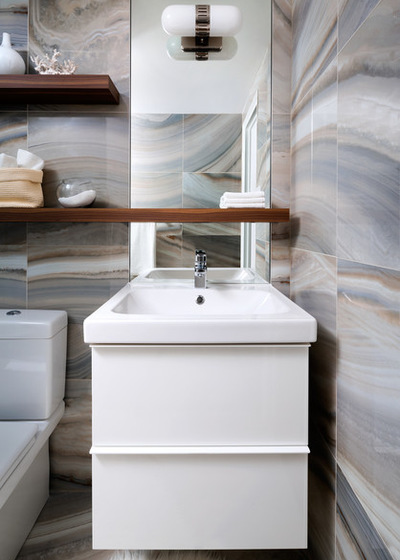 Since the sink tends to have around 6” on its own, you will need to have a total vanity height of 36”, so the vanity minus sink will be 30” in size. This is a very important thing to keep in mind when you want to choose the vessel sink vanity. What Size Bathroom Vanity Should I Purchase? The vanity size will differ based on where you live and what you like. There are lots of models out there, so you are free to pick which one you like the most without any restriction. The idea here is to opt for a bathroom that’s accessible first and foremost, as that’s the pivotal idea here. Of course, if you want to get a good value for your money, it’s recommended to focus on accessibility. In this situation, you may want to remain with a regular height of 32” in total. Keep in mind that vessel sinks can be added, but if you have kids you may want to stay away from them because they are rather fragile and tall, so they are obviously not suitable for kids! 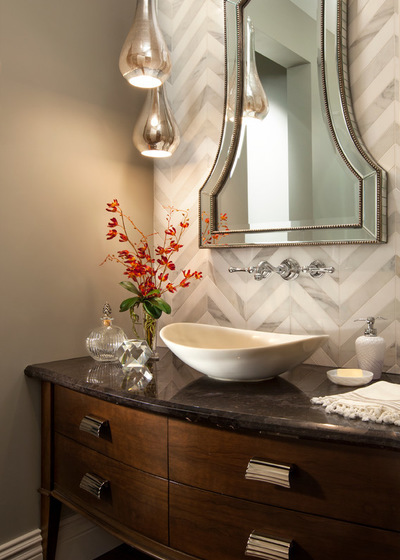 Opting for the best layout in your bathroom might seem like a difficult task at first. Thankfully, even the most challenging ideas are rather easy with the right approach. As long as you have plumbing ready, you just have to choose the right height here. With that in mind, we created a list that includes a quick guide to help you find the right sink and mirror height, among many others! 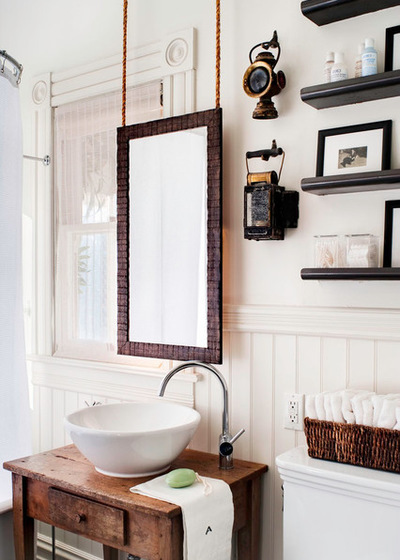 In the case of sinks, you need to focus on the counter height at first, and that can be around 34”! However, if you have the above counter vessel sinks, these will be higher when compared to the below counter options. If you have such a model, you need a lower cabinet. This is where trial and error comes into play, all you need is to try out multiple models before you find the right one to suit your needs! 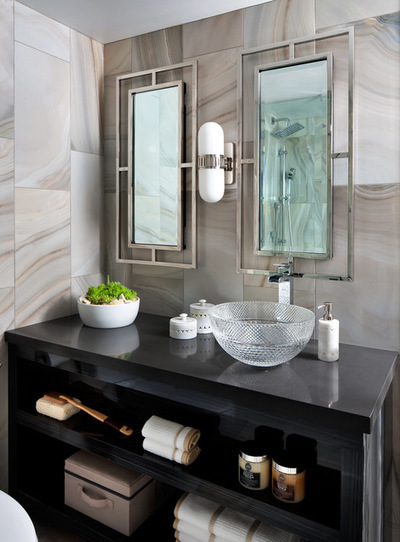 Just like in the case of your sink, the mirror height needs to be based on your particular height. The idea here is to figure out the average eye line height for everyone. This means you will need to make sure that you can see yourself in the mirror. Most of the time, 5” or 6” mirrors are accepted. However, you can shift this based on your house and other relevant factors. There are times when you may want to create a centerline. This one needs to be placed on the ceiling and counter. It will offer a sense of symmetry. 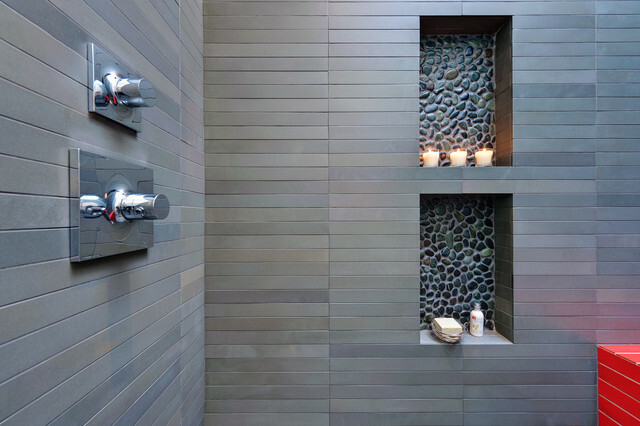 Place it adequately over faucets, and it can even bring in some impressive visual effects! If you want to create a combination between a sit-down makeup station and a standing vanity, you do need to make some height adjustments. Usually this will be around 24” or even a bit higher. There is no universal value. However, you will have to sit and figure out what height is comfortable for you. 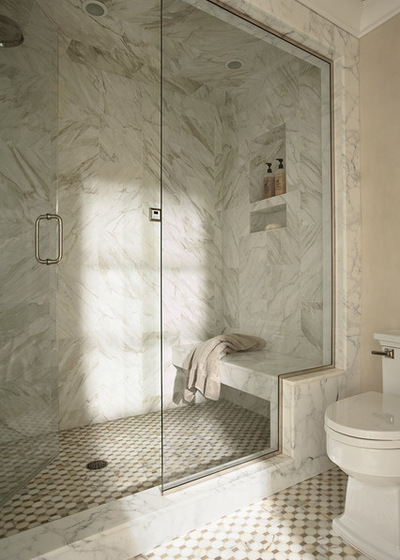 When it comes to shower enclosures, each person has a different perspective. Some are ok with enclosures that are 18 inches in width and which have a 24-inch door panel work. This can be more than ok for the 60-inch tub. To place the doorknob properly, you need to put it roughly at 36 inches in this situation. Remember that the idea here is to follow knob placement based on the rooms that are ok for you. In the case of shower benches, you will need to focus on having the top lower than a regular seat. After all, there are times when you may need to shave and perch your leg. 16” will be more than ok here. 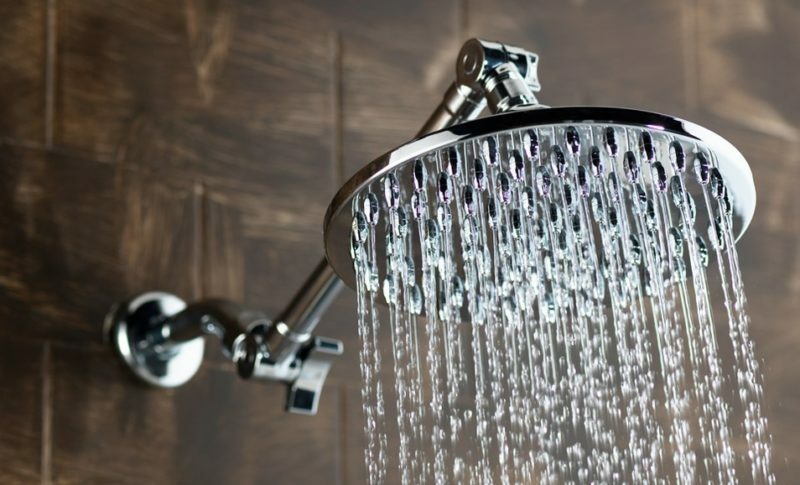 Showerheads need to be at around 6” in total. The idea is to have them a bit high, because you don’t want to crouch for it. Also, you need to be very close to it, yet it does have to project water pretty fast and in a proper manner to deliver the very best results. You can add niches for the shower area because this does provide a great accent and you also receive amazing storage capabilities. If you want to add this for the shower, you need to put it at around 48”, because you don’t want to lean down again. A similar height should be used for the shower controls. The tub filler can be added at roughly 6” above the tub’s top! Where should you put the paper, holder? The idea is to put it at around 26 inches off the floor, as this is one of the best options here. However, you need to make sure that the paper holder is closer to the height of the tank, not the height of your seat. 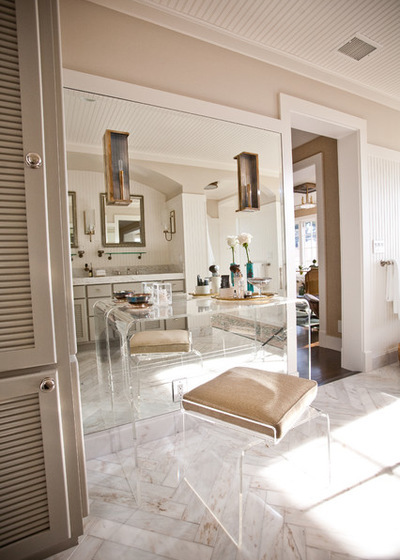 Also, you can put it to the side of your vanity and not its center; this works if you have a limited amount of space. If you have robes, put the bar at 60”, the washcloths are ok at 18, ” and the towels are more than ok at 36”. The regular tower rail can be placed at 48” over the floor level. You can adjust it if you want. The idea is to know what you will hang because this will end up bringing a lot of value and a great experience. An interesting secret that I want to share is that most people forget about the electrical outlets. 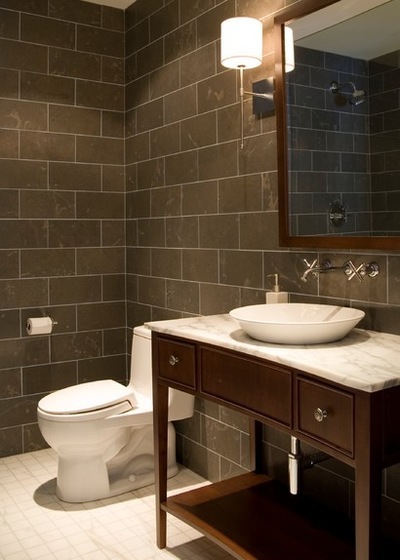 Most of the time, the outlet will be placed right near the vanity cabinet, alongside the sink counter’s lower edge. This makes it easy for you to plug in any electrical devices while also keeping it hidden! Much like bathroom vanities, bathroom cabinets also follow fairly standard heights that differ depending on who are using it, who manufactured it, and which contractor constructed it. However, as a general rule, standard cabinet heights range from 29” up to 36” from the floor. The standard cabinet height for adults is around 32” up to 36”. 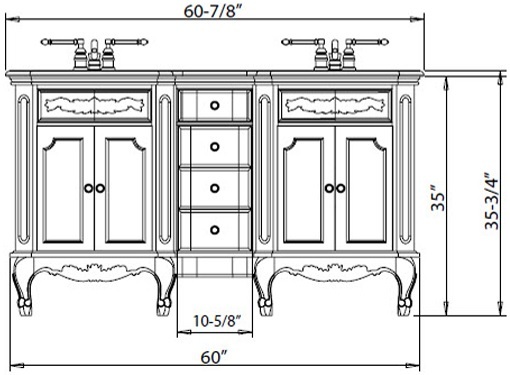 This, of course, depends on style and manufacturer, but most bathrooms will follow this height for its cabinets. However, pre-fabricated cabinets can go up to 36” or even 38”, and are primarily designed with taller adults in mind. For people looking for even taller cabinets, they’ll have to look at custom cabinet makers, as this is beyond the standard cabinet height available from most manufacturers.